An old, cold sort of a day. There are ‘meh’ moments on any long-distance trail. While most days are beyond captivating, it’s inevitable on a journey of this length that repetitious terrain and dismal weather become discouraging. Some periods simply require getting through ‘A’ so you can enjoy ‘B’. Day 37 was one of those days. There was, however, one especially sentimental highlight that inspired my bedraggled journey through Tothill Belt’s windy channel. Morning drizzle and biting winds blew through Webb Gap as I descended from the lofty campsite. The stimulating sky that concluded Day 36 had been replaced by an endless blanket of lifeless grey cloud. The trail soon cut back along the valley floor and continued alongside a similarly expansive sheet of flat fields. It wasn’t long before I spied my detoured destination for the day, a humble stone cottage, occupying one of these paddocks. 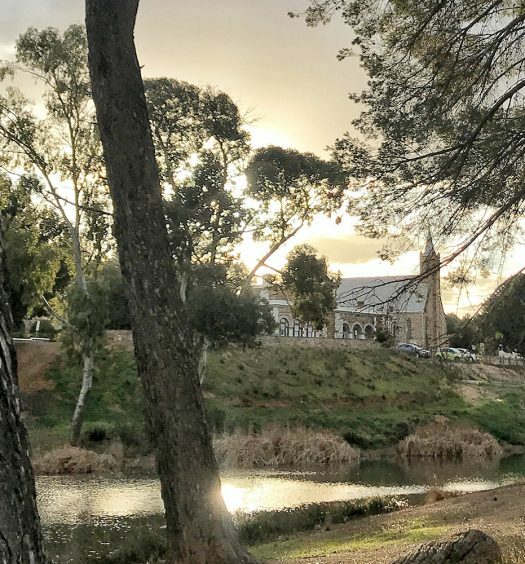 Before commencing the Heysen Trail, I organised a short deviation from its wriggling route; on Day 37 I would visit my ancestral home. I discovered, after a discussion with my father, that my great-great-great-great-grandparents had built a hut in Tothill Belt, only a few hundred metres from the trail. I had originally planned to stay in the shelter, but, students and teachers from a nearby school were using the facilities over the week. However, when I arrived at the property, the area was deserted; they had begun their own exploration of the area. 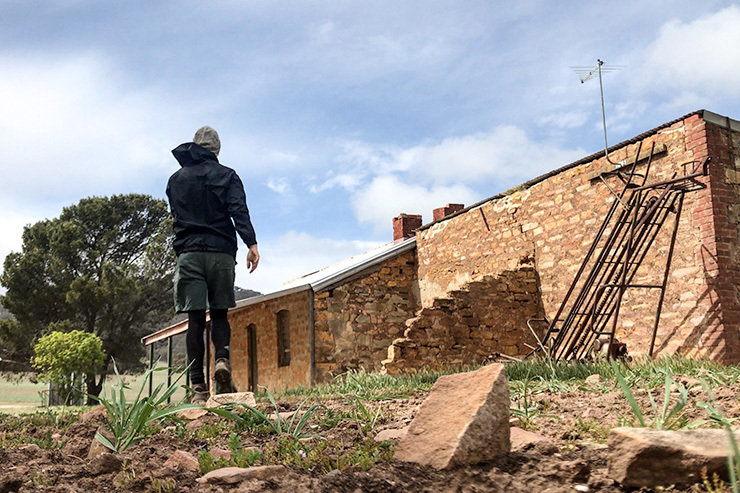 I walked through the house inspecting the crude brickwork, the rustic potbelly stove, the weathered windows, the moss-covered larder and the various rudimentary farming artifacts rusting unused for generations. It was obvious that the foundations had undergone significant structural renovations since it was constructed some 150 years earlier; nevertheless, I felt a very genuine connection to the building. John and Susannah Hallett moved to the area in 1855 with 5 children. Two more were born in the house, one child was married on the property while Susannah later died there in 1878. As it turned out, my father’s ancestry wasn’t my family’s only link to the trail. I later discovered that my great-great-grandmother on my mother’s side painted with Sir Hans Heysen at his home ‘The Cedars’ near Hahndorf. 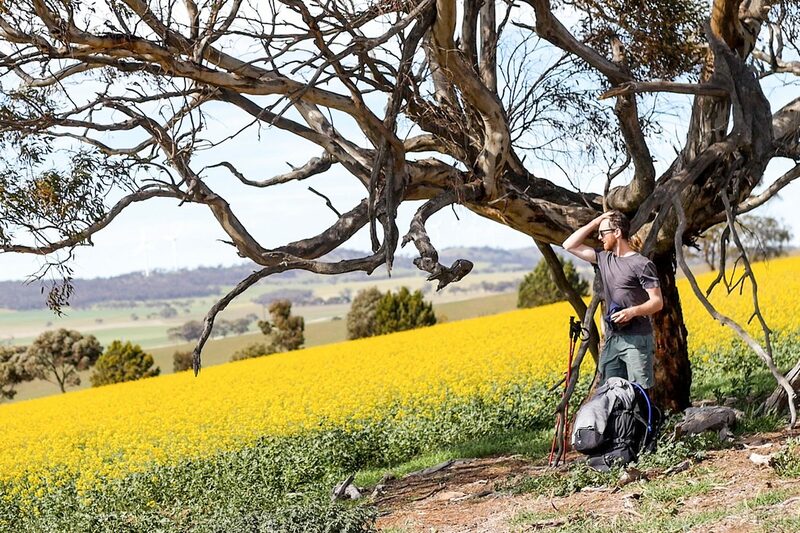 An astonishing revelation that further intertwined my life’s journey to the Heysen Trail. Rains, clouds and wind came and went, and then came again, on my journey through Tothill Belt’s pastures. In truth, the paddock-filled landscape was much like Day 36, except gloomier, much gloomier. 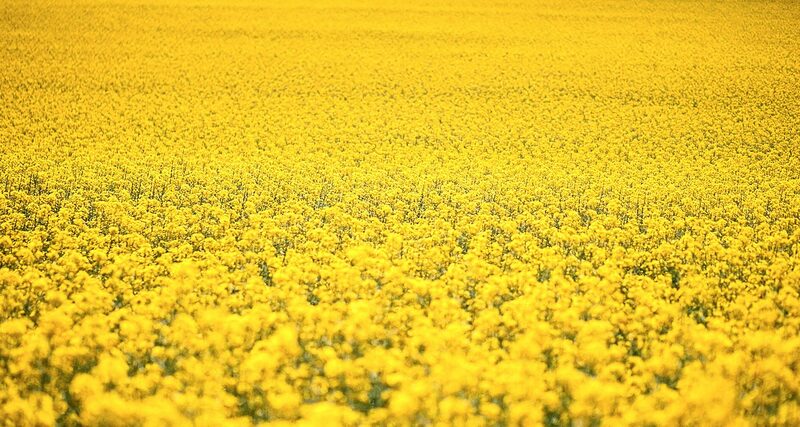 The otherwise brilliant swathes of yellow canola appeared dulled without the sun’s luminous boost. By the time I clambered up Tothill Range for the fifth and final time since entering the region at the end of Day 35, the temperatures had dropped significantly. I threw on every item of clothing in an effort to curtail the conditions, but they couldn’t stop the frigid winds from penetrating my torso. Luckily, I managed to set up the tent at the Smith Hill Campsite just before a deluge of cutting rain blew through the scrubland. Perfect timing to end my brisk, but dreary 13.31-kilometre day. I hoped a slightly longer Day 38 would be substantially brighter. 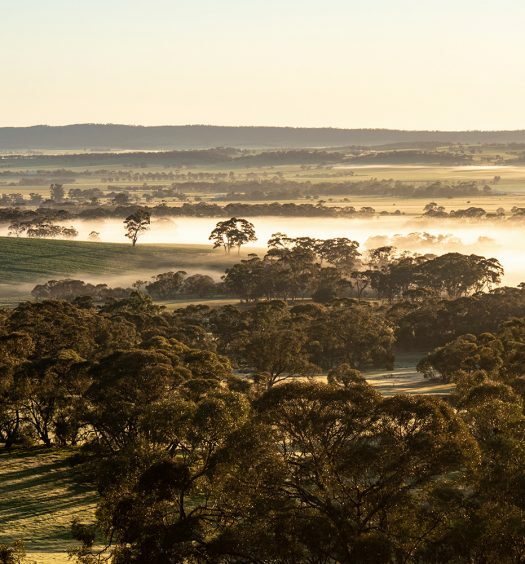 The region has hot dry summers with cool to cold nights and cool, wet winters. Autumn and spring can be warm and mild with occasional periods of rain or showers. A relatively flat stretch through pastoral lands with trips down and up Tothill Range bookending the day.